Not planned your summer break? With the holiday season in the UK now upon us, and the pound sterling weak even against the Euro, now is as good a time as any for a British holiday. Scotland and the Edinburgh Festival calls. You can drive, the capital of the north is 400 miles from London (seven hours plus, and at least one stop); there are train services from most major cities, and of course you can fly from places as diverse as Bristol in the South West or Manston Kent. 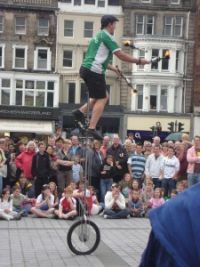 First organised in 1947, and said to be the world’s largest cultural event, the Festival this year officially runs from 12 August until 4 September. It has spawned a whole series of other independent events and is really a generic term used to describe what is an explosion of enrichment. 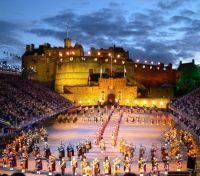 The Jazz Festival is now under way (until 31 July), the Arts Festival (4 August-4 September), the Military Tattoo (4-27 August), the Fringe (5-29 August), complemented by the Book Festival (13-29 August). There is the Festival of Politics (20-27 August), and many other spin offs. These are followed by Mela (performing art) and Storytelling festivals. For those who like the cold there is always Hogmanay, which Edinburgh serves up in its own particular way. Let us take a look at the Tattoo. It is performed in a temporary auditorium seating 8,500 in what is effectively the parade ground of the castle. An awesome colourful pageant dominated of course by the bagpipes, but always with performers from all over the world. This year the showstoppers are likely to be 40 of the Netherlands’ finest military musicians with their celebrated Bicycle Band – Fanfarekorps Koninklijke Landmacht Bereden Wapens – resplendent in historic World War I period uniforms. Another headline act will be the South African Navy Band from Simon’s Town, whose multi-talented musicians will perform using a variety of instrumentation, which, uniquely, include Kudu (water buffalo) horns. Included this year are performers from the Middle East and South America, including an exciting demonstration of contemporary Highland dancing featuring the Tattoo Dance Company and introducing a gifted all-girl troupe of dancers from Northern Ireland. Traditionally the show sells out well in advance but if you can get tickets they are priced £23 to £58 and do remember to dress up warm and take with waterproof clothing. Edinburgh is one of the world’s great tourist cities and a World Heritage site. Even if your visit is not during the Festival period you will find it most vibrant. Edinburgh is a walking town, but you do have to be fit. Just like Rome it is built on seven hills and is dominated by the castle. If your visit is limited to just a few days you can base yourself in one area and come back another time and stay elsewhere. You will still be in Edinburgh but the panorama will be completely different. Princes Street, the very pretty main thoroughfare offers on one side and very pretty gardens on the other (where there is a bandstand/open air theatre). But both extremities of the street are entirely different in their offerings. The main railway centre and bus station are right in the centre of the city and if you are planning to fly it has excellent links from Europe whilst United (Continental) offers an all year round daily service from its New York Newark hub. Where to go and what to do? Edinburgh is a feast. Theatre-wise the major houses play host to a whole variety of productions spread throughout the year. Visit the websites to find out what is on when you are in town. 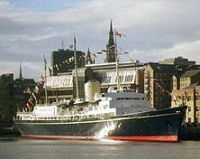 Notable attractions include the old port town of Leith where you can often gain a view of cruise ships in dock, plus visiting the former Royal Yacht Britannia. 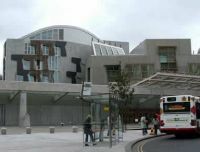 There is the superb Museum of Scotland near the university, The Palace of Holyrood House, the Scottish Parliament (if you are British see where your money was spent), The National Gallery of Scotland, the Museum of Flight and Concorde, and of course The Castle. 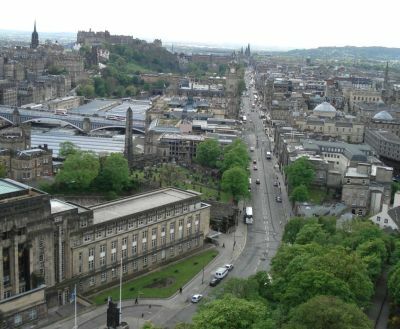 There are literally dozens of places of interest to visit and one should include the Camera Obscura at the top of the Royal Mile just before the Castle and at least one alcoholic drink production unit, either beer and better still in Scotland, malt whisky. As a major international city Edinburgh is well off for hotels in all price ranges. Clearly it is best to stay in the centre but if for economic reasons one chooses to base oneself outside the core area the city has a very good and cheap bus system and it is well worthwhile buying a multi-sector pass. At the top of the range the Radisson Blu has a superb position on the Royal Mile, is fully air-conditioned and has just completed a major refurbishment. It also has an indoor swimming pool. Also a ‘must’ mention are two fine old prestige railway hotels, the Balmoral, at one end of Princess Street, returned to its former glory, and above what was once the alternative main line station, the Caledonian, a classic property extensively re-vamped. What was once the offices of The Scotsman newspaper is now a hotel, just 56 bedrooms and 12 suites. You could not be more central. At the economy level the Edinburgh Ibis is bright, clean and right in the centre of things at the junction of North Bridge and High Street and Premier Inn have an offering in the very centre of town. Edinburgh has many, many guest houses, all to an excellent standard and most offering a very Scottish breakfast. You can eat Scottish, French, Italian, Indian (vegetarian too), Chinese and even Mongolian. The fare is good if not the cheapest. Try and miss out on the tourist traps. If the weather is poor the St James Centre is a massive shopping mall opposite Waverley station. Just launched is the Edinburgh pass which gives free access to over 30 attractions, bus transport including a return to the airport and many exclusive offers. A one-day pass costs £29 and a three-day offering £49. There are children’s discounts and under fives go free.